Live in coastal ocean waters, spawning in freshwater rivers and streams. Visits the Chesapeake Bay each spring to spawn in freshwater rivers and streams, including the James, Potomac and Susquehanna rivers. Move downstream after spawning, leaving the Bay by summer. During spawning season, can be found in the rivers of the United States, Canada and Mexico. 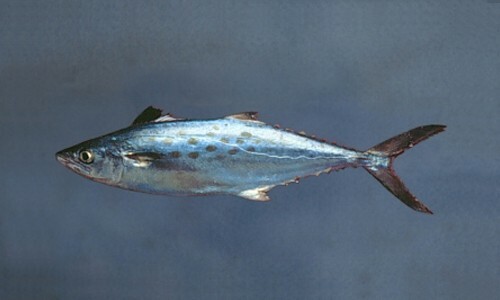 Outside of spawning season, can be found in the coastal areas of the Atlantic and Pacific oceans. 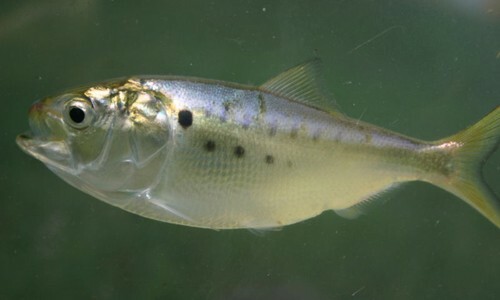 Also known as white shad, the American shad is a thin river herring with a metallic body and dark spots on its shoulder. It visits the Chesapeake Bay each spring to spawn in freshwater rivers and streams. The American shad has a thin, metallic body that varies in color from greenish to dark blue. Its large dark shoulder spot may be followed by several paler spots. Large, easily shed scales come together at its belly to form a saw-toothed edge. It has a deeply forked tail fin. Females are larger than males. In the ocean, American shad feed on plankton, crustaceans and small fish. Adults stop feeding once they begin their upstream spawning migration. Once water temperatures warm and spawning season ends, diets return to normal. Predators include bears, birds and large fish like striped bass, smallmouth bass, blue fish and channel catfish. Shad are anadromous, which means they live in the ocean but spawn in freshwater rivers and streams. In spring, adults migrate to the waterway in which they were born to spawn. Females lay 100,000 to 600,000 eggs over the course of several days. Eggs drift downstream and hatch in seven to 10 days. After spawning, adults either die or return to the ocean. Juveniles remain in nursery areas, where they feed on zooplankton and terrestrial insects. In early autumn, most juveniles leave the Bay for the ocean, where they remain for several years before returning to freshwater rivers to spawn. American shad live six to 10 years. The American shad is the largest and most well-known shad species. The largest American shad ever recorded was two feet, six inches long. The oldest American shad recorded in Maryland was 11 years old. 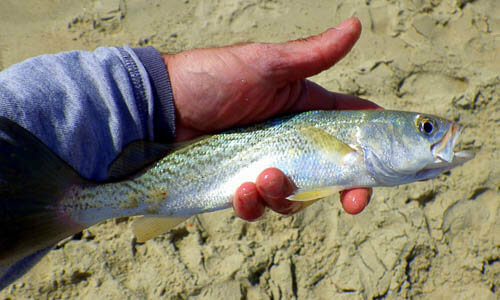 Shad roe (or eggs) were once considered a delicacy in the Chesapeake Bay region. Shad have a tree named after them: the shadbush blooms in spring, close to the time that shad return to the Bay's rivers to spawn. Shad populations have declined in recent decades, due to pollution, historic overfishing and the construction of dams.